There are few more rewarding things in life than creating new habitat for wildlife and then watching with delight as birds and other animals move in. What would make it extra special would be hearing a Turtle Dove sing its beautiful purring song. A major part of our HLF funded North Yorkshire Turtle Dove Project involves working with land managers to create exactly the right feeding opportunities for Turtle Doves. 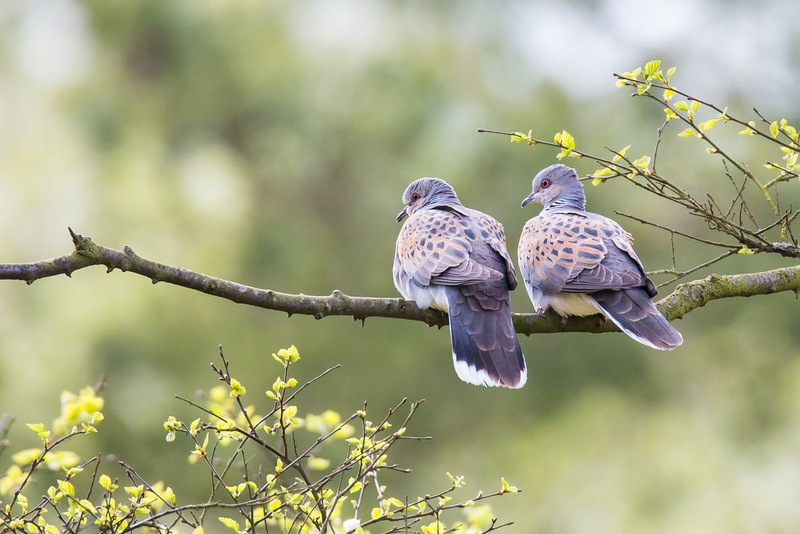 The National Park and the Project have a brand new grant aimed at providing flower rich plots from which Turtle Doves can feed on a natural seed source. 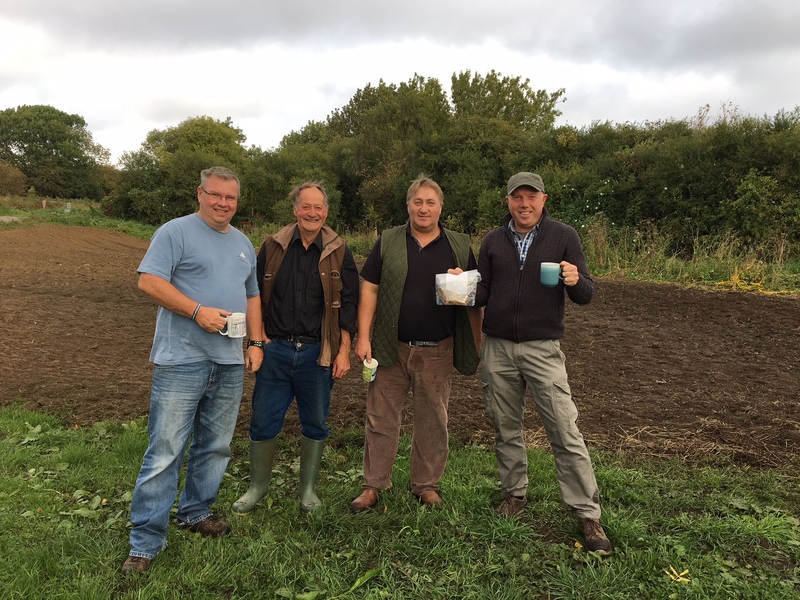 We are really pleased that this autumn 11 farm businesses have established 17 Turtle Dove flower plots covering a total of five hectares within our project area. 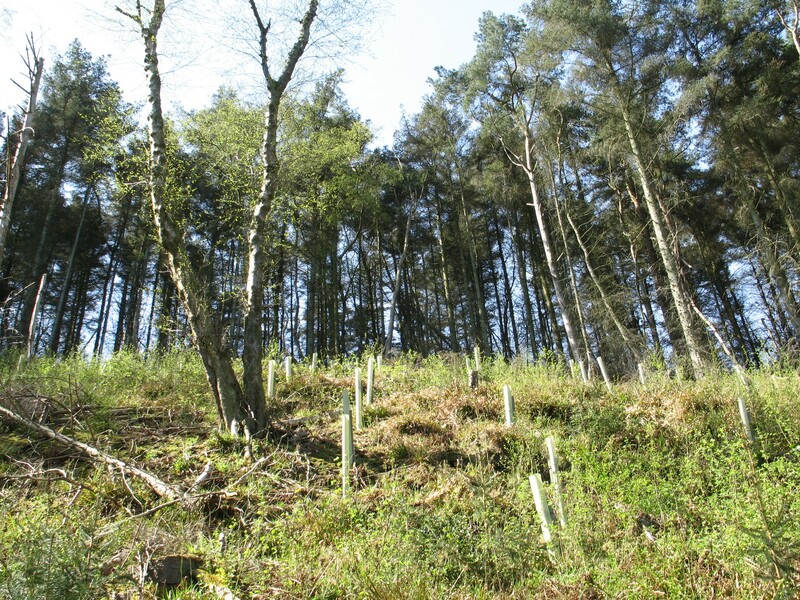 This is a great start and it’s very exciting that so many land managers are keen to help; however we need many more if we are going to have a chance of making a difference. The pioneering 11 includes a wide range of landowners and tenants such as our first community Turtle Dove reserve in Sawdon village sown by the local community and primary school, Ampleforth Plus Social Enterprise, the Danby Moors Farming and Wykeham Farm businesses, and Hanson Quarry near Wykeham. 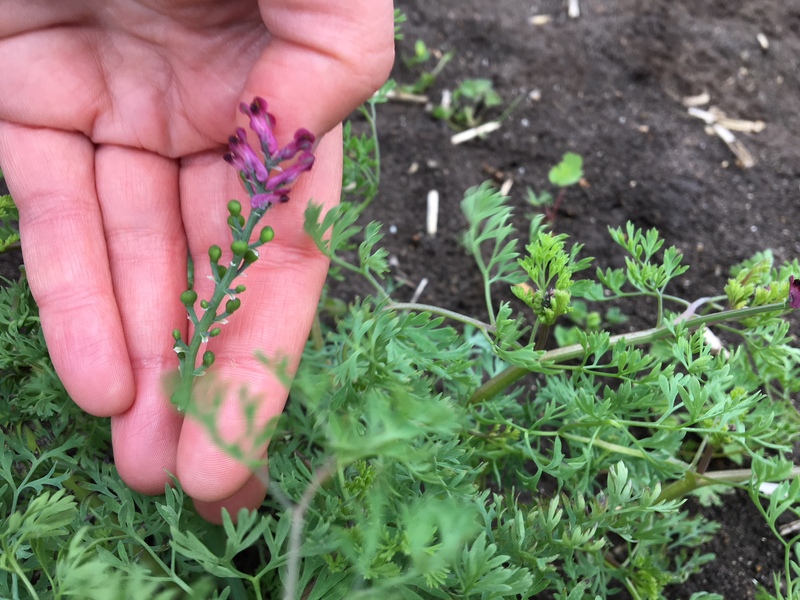 The sown plots are needed because many of the wild flowers that provide seed such as Common Fumitory and Birds-foot Trefoil are no longer common in the arable landscape which is one of the major reasons Turtle Doves are now at risk of extinction. 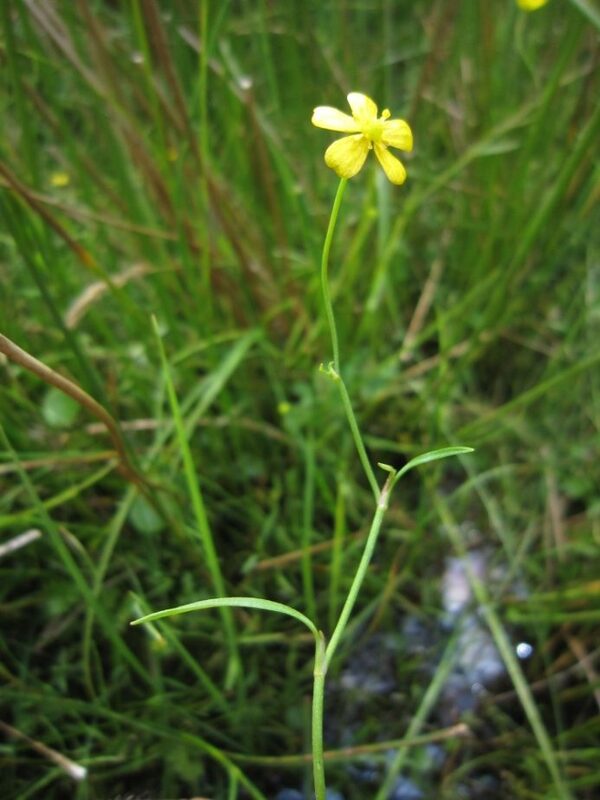 The plots will also support a range of other scarce arable plants such as the locally rare Shepherd’s Needle. 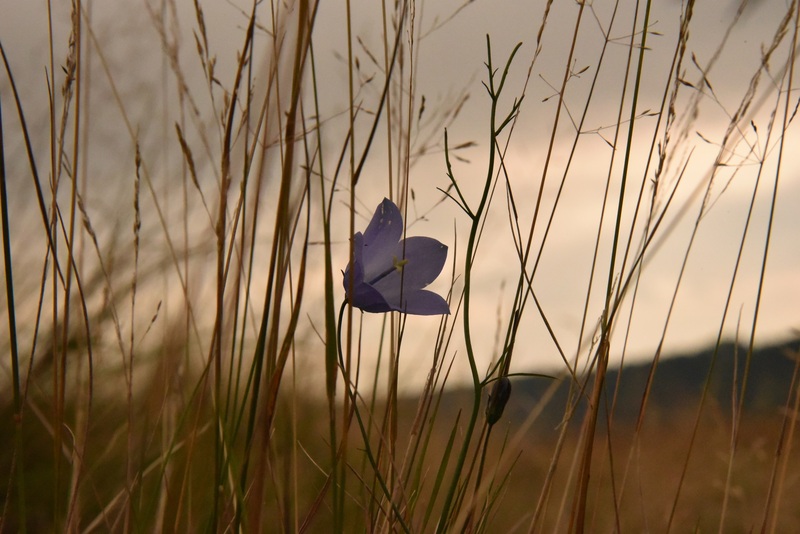 We are working with the local Cornfield Flowers Project – Into the Community to make sure we provide available ground for many naturally occurring but declining local flowers. These new plots will not only provide habitat for Turtle Doves they will also provide valuable for a whole range of declining farmland birds. Grey Partridge feed their chicks on invertebrates and need open fallow land rich in small insects. Our flower plots are sown at a very light sowing rate to leave a good proportion of the plot shallow which allows access for Partridge and other birds such as Yellowhammers searching for insects in the summer. 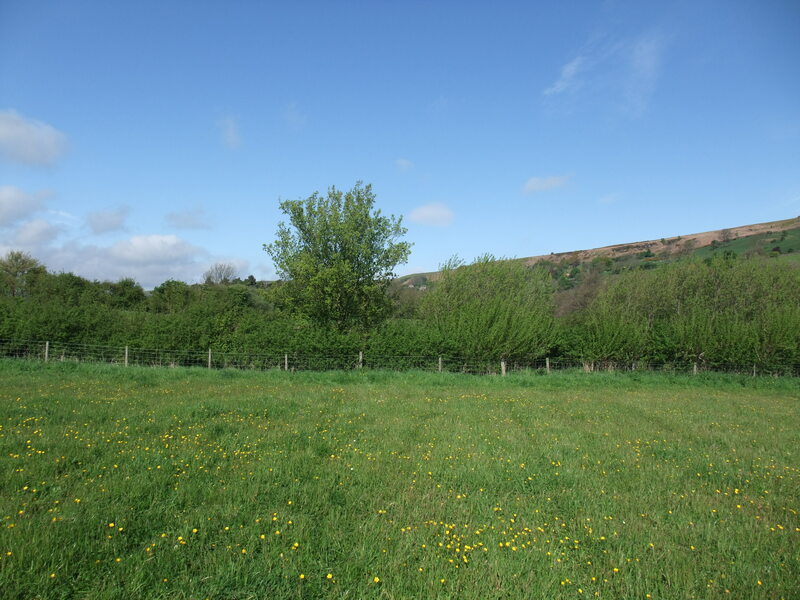 If you have arable or temporary grassland on your farm and you would like to help Turtle Doves please get in touch to find out more about the grant and payments on offer. 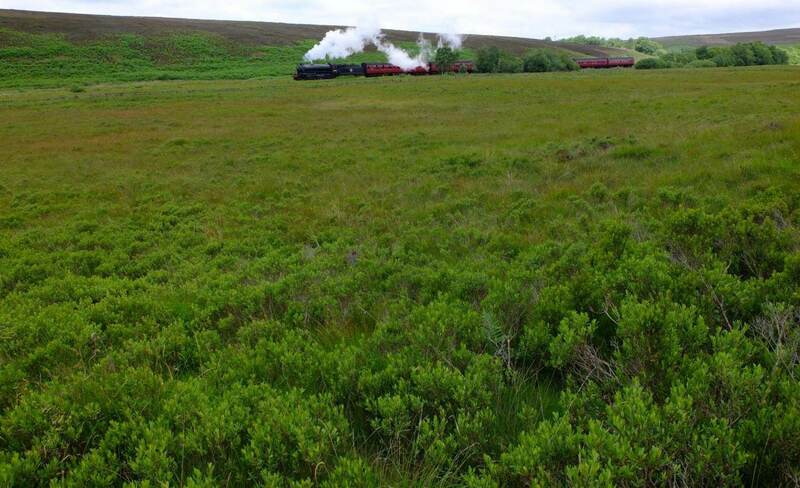 Contact us or call the National Park’s Conservation Department 01439 772700. A number of saints are associated with the North York Moors. 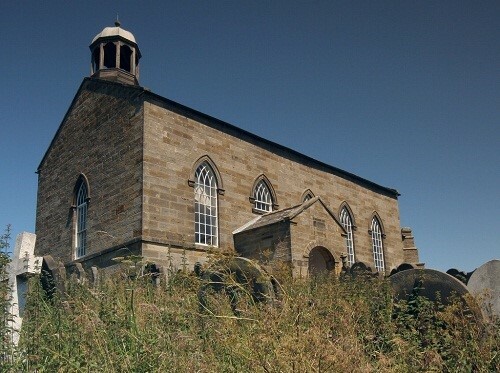 Geographical associations can sometimes be found in the name of parish churches dedicated to particular saints, like St Oswald’s, St Cuthbert’s or St Hilda’s, all Anglo-Saxon celebrities when the north east of England was particularly important for the celtic branch of Christianity before the church in England romanized. Not all saints are Anglo-Saxon, it’s just that quite a lot of them are in Britain, many awarded sainthood before canonization became more centrally organised. The full name of the church in the village of Oswaldkirk (which means Oswald’s Church) is the Church of St Oswald, King and Martyr. St Oswald (died 642) was a King of Northumbria, the kingdom included most of Yorkshire at one time or another. Oswald converted to Christianity as a young man in exile on the island of Iona, a hotbed of celtic Christianity whilst the rest of Britain was mostly pagan. He regained his kingdom as a Christian and then made it his mission to spread the new religion. He died in battle against pagan Mercians in 642, hence the title of Martyr. His body was supposedly cut up in a pagan ritual, but this meant his body parts were them disseminated across the country, and even onto the continent, as inspirational Christian relics. St Cuthbert (died 687) was a monk for most of his life, he was the Prior on Lindisfarne before he gave it up to become a hermit on one of the nearby Inner Farne islands. After his death he became a very popular saint widely venerated across the north of England and beyond, probably because of his steadfastness and asceticism as well as his holiness. Over 400 years later he was said to have had an incorrupt corpse when dug up, which always makes an impression. St Aiden (died 651) was the first Prior on Lindisfarne and seems to have had a similar character and calling to Cuthbert, but he ended up partly eclipsed by his successor in the saint popularity stakes. Although there are many St Cutchbert’s Churches round and about the Norht York Moors, but only one within, at Kildale. But there are two St Aidan’s, in Oswaldkirk and in Carlton. St Hilda (died 680) as an Abbess had status in the Christian hierarchy which gave her authority and influence in her lifetime, her personal qualities meant that continued after her death. She was an advocate of education, and her own wisdom was greatly valued. She was first an Abbess at Hartlepool before re-founding the Abbey of Whitby (not the current ruin), where monks and nuns lived separately but worshipped together. She hosted the important Synod of Whitby in 663/4 at which it was decided that the future of the English church should be Roman. Like Cuthbert, after her death Hilda was widely venerated in the north of England. 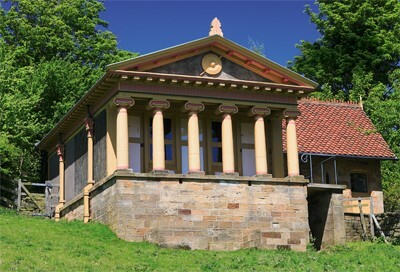 There are St Hilda’s Churches in Ampleforth, Beadlam, Danby and Hinderwell – which is a derivation of the name Hilda’s well. The church in Lastingham is named after St Chad but it is St Cedd, his brother, who is buried in the crypt. St Cedd (died 664) was an important person in the hierarchy of the Anglo-Saxon church, as well as founding a monastery at Lastingham he evangelized all over England and was known as the bishop of the East Saxons i.e. Essex. St Chad (died 672) succeeded him as Abbot of Lastingham but spent much of his time converting the re-occuring Mercians in the midlands of England. Both brothers learned their ‘trade’ on Lindisfarne before being sent out by various Christian kings of Northumbria to convert the pagans in the rest of England. There are also St Chad’s Churches in Sproxton and Hutton le Hole. St Caedmon (died 680) is a particularly local saint, he was possibly a herdsman from Whitby before he became a monk at Whitby Abbey whilst Hilda was the Abbess. He never had a position of authority like the other saints mentioned, he did however have a gift for composing poetry in the vernacular which illustrated Christian stories and ideas, so helping to spread the faith. One thing to note is that there are no churches dedicated to St Caedmon, but he does get to patronise a school in Whitby. 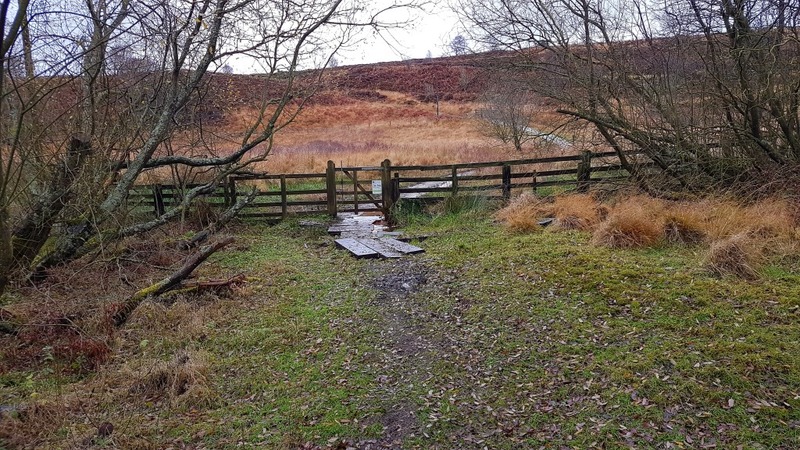 Segmented Embanked Pit Alignments (SEPA) are an historic earthwork feature of the north east of the North York Moors, identified by the Royal Commission on the Historical Monuments of England as a specific type of monument in the 1990s. Previously this type of feature had been classed as a double pit alignment – two lines of pits marking a boundary. A SEPA earthwork however is made up of two or three pairs of pits inside two parallel enclosing banks largely made from the spoil from the pits, these are generally in what appear to be conjoined segments. The segmentation suggests development over time rather than a linear structure created in one go as a land boundary. In each case the SEPAs appear to be aligned with nearby Bronze Age barrows (burial mounds), which suggest the SEPA are Bronze Age too and could have had a related ritual purpose. The alignment of all the SEPAs is north-west to south-east. This alignment seems to have taken precedence to any alignment with the barrows. The parallel banks were oddly low, which means the earthworks were not prominent in the landscape when they were constructed, unlike the barrows. No similar features have been identified in the rest of Britain. SEPAs are therefore particularly important and all are now scheduled along with their associated barrows. 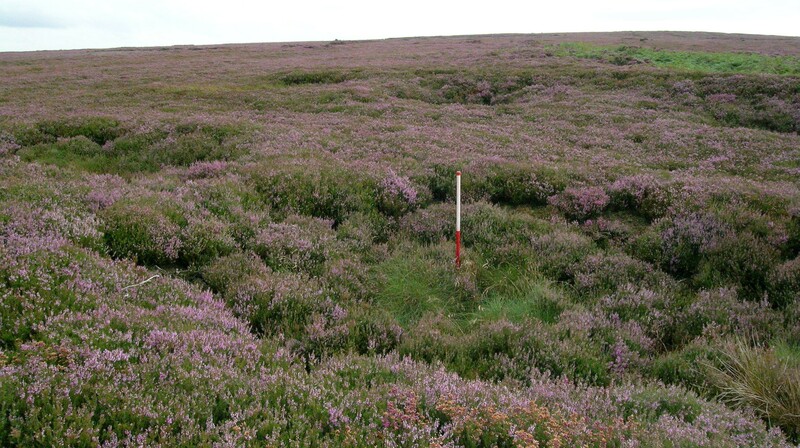 There are three locations of SEPA earthworks – on Middle Rigg, Easington High Moor (SM 1020351), on Danby Rigg (SM 1018782) and on Ugthorpe Moor (SM 1016532 and SM 1016533) – all within ten miles of each other. 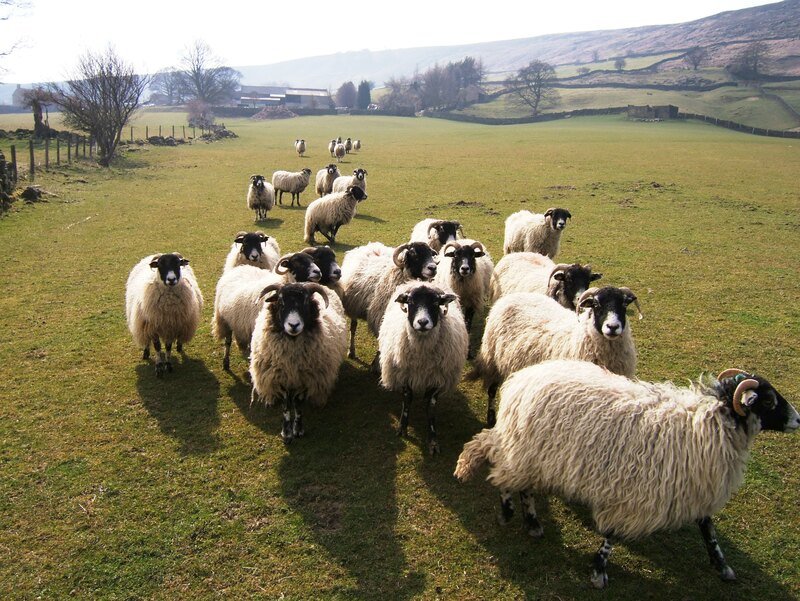 Sheep are the main stock animal farmed in the North York Moors. According to Defra’s June 2016 agricultural census returns, there were 296,120 sheep in the National Park at that time, five and a half times the number of cattle. Why the pastures, grasslands and moors of the North York Moors are used for sheep is based on current economics and a couple of centuries of custom. 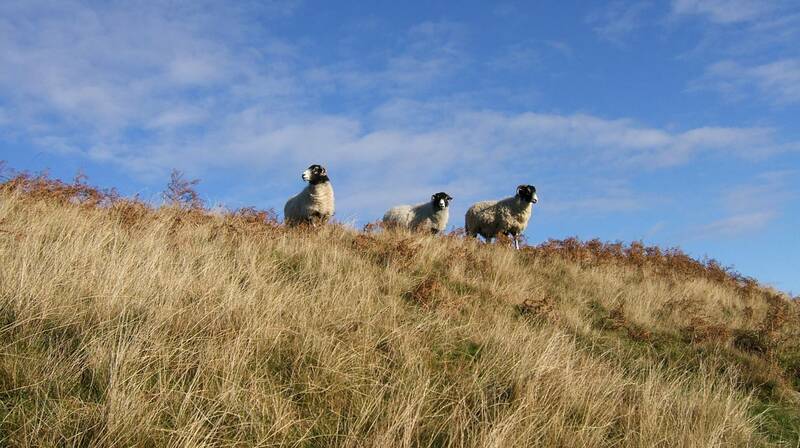 Sheep can manage on open moorland for a lot of the year without much input if they’re hefted – which means when a flock keeps to a certain part of an area because of learnt behaviour, rather than needing fencing. But just like there are a variety of different habitats and landscapes in the North York Moors, there are a variety of different sheep breeds and farming methods, and not all North York Moors sheep spend summer amongst the heather. 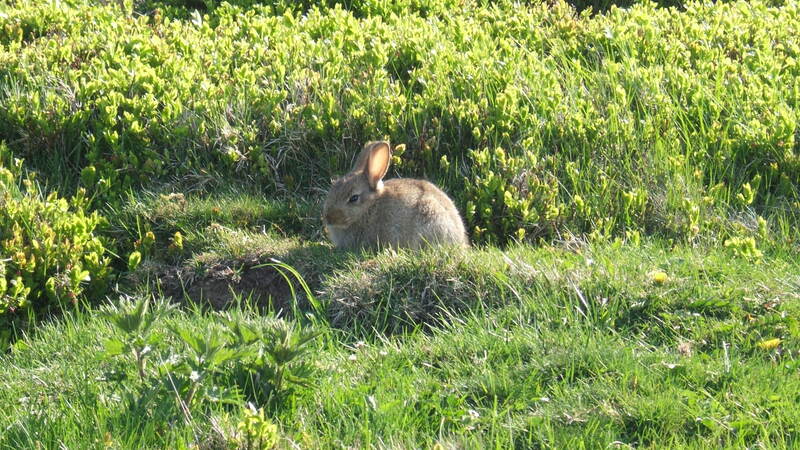 One of the main breeds in the North York Moors are Blackface. Blackface sheep are hardy and easily hefted, so good on northern hills. Mixing sheep breeds to develop sheep that best suit local conditions and to accentuate their best commercial features is an ongoing endeavour amongst sheep farmers. A mule is a cross breed sheep, mixing the qualities of a Blackface sheep with a more commercial breed either for wool or for meat. Ram, ewe and lamb are common enough descriptive nouns for sheep, but there are a lot more you’ll need to know if you want to talk sheep with a North York Moors farmer. For instance a tup is another name for a ram, a wether is a castrated male lamb, a hog is an older lamb more than a year old, a gimmer is an older lamb which will be used for breeding. If you want to find out more about sheep, and who wouldn’t – have a look at the National Sheep Association’s very informative website. The North York Moors has high cliffs, sheltered coves and small fishing villages on its eastern coastal edge. So ideal for people with boats in the 17th to 19th centuries to bring in comestibles whilst avoiding being made to pay custom and excise duties due to the government. This smuggling was never on the scale of that in the south of England because of the distance from the continent, but there were local opportunities for small boats to go out to sea and collect goods from passing ships. 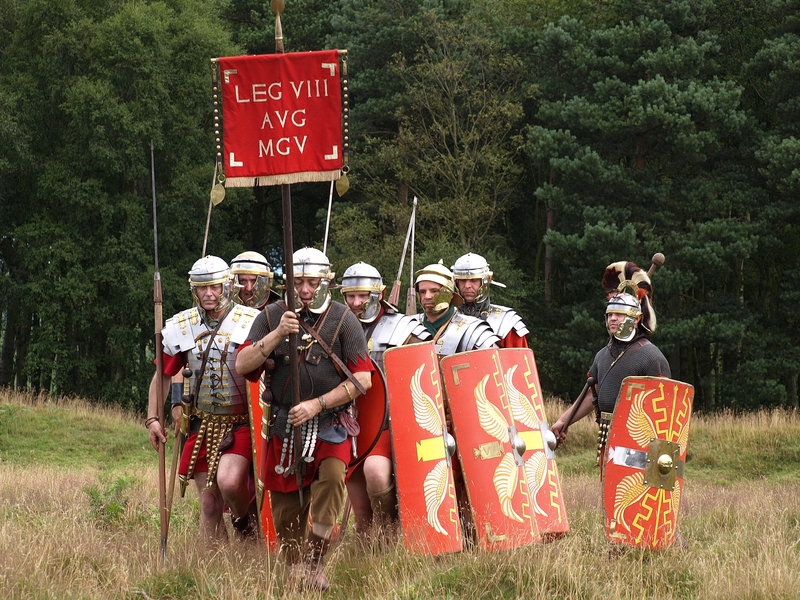 The fact that the terrain of the North York Moors and distance from authority meant it was difficult to collect duties plus the fact that many people didn’t want to pay the duties, together meant organised criminal enterprise was rife. There weren’t very many ways of making money, smuggling was one, as long as you weren’t caught and potentially transported or executed. Goods were landed, held in coastal villages and farms, and then distributed, all the while the Customs and Excise Officers tried to prevent this with varying enthusiasm and results. The British Government used money from duties to help finance numerous wars in Europe and so always wanted to collect as much money as possible because wars are always expensive. Customs were levied on imported foreign goods (charged at recognised ports) and excise was levied on domestic production. Such widespread smuggling reached a peak of activity at the beginning of the nineteenth century during the Napoleonic Wars. It wasn’t all brandy, silk and tea however, another comestible which suffered from a high rate of tax was salt, both home produced and imported. The Wagon and Horses Inn, just north of the Hole of Horcum, was surrounded by treacherous and secretive moorland, it was also alongside the main road across the moors connecting the coast around Whitby and the south to Pickering, York and beyond. The name of the inn underlines the importance of the location for transportation, and because of this location it became a criminal hub. Untaxed salt was held at the inn, fisherman from the coast would bring in their fish to be salted and then moved on to be sold. Salted fish could be transported more widely and therefore could make more profit, as long as the salt was untaxed. Everyone knew what was happening and there were frequent raids by Excise Officers. The story goes that on one occasion a single Excise Officer managed to catch the felons by surprise, and he ended up murdered. Elements of stories then got muddled up together. The body is supposed to have been buried under the fire place, a tradition was established that the fire should never be allowed to got out else the devil would arise or the ghost of the murdered man would seek revenge or more prosaically the body might be discovered. Later the Wagon and Horses was renamed the Saltersgate Inn, the wider site is now called Saltergate. It’s obvious what the first part of the name signifies, and the word ‘gate’ means a road. The Saltersgate Inn recently fell into dereliction, it is due to be demolished and the site redeveloped. So far no body has been found. Social capital is defined by Wikipedia as a form of economic and cultural capital in which social networks are central; transactions are marked by reciprocity, trust and cooperation; and market agents produce goods and services not mainly for themselves, but for a common good. 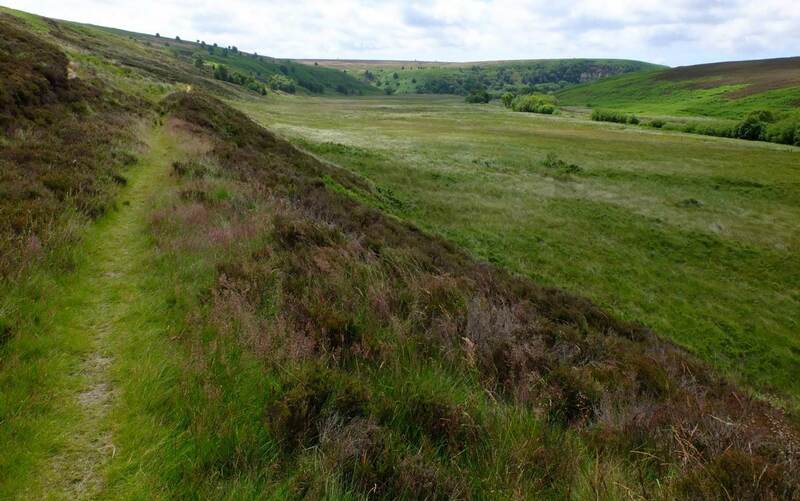 We’ve recently helped a PhD student from Bangor University by putting him in touch with North York Moors Farmers willing to answer questions about what it is that motivates them to engage (or not) with high nature value farming and/or agri-environment schemes. The research being undertaken is aiming to identify social capital types within farmer groups. 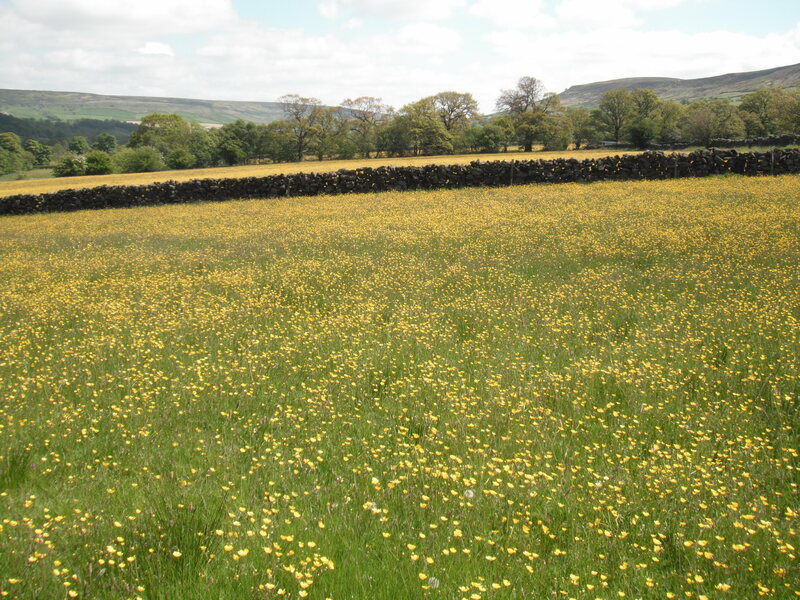 It is recognised that there will be significant impacts on farming communities, especially upland livestock farmers, as a result of agriculture policy changes post-Brexit. 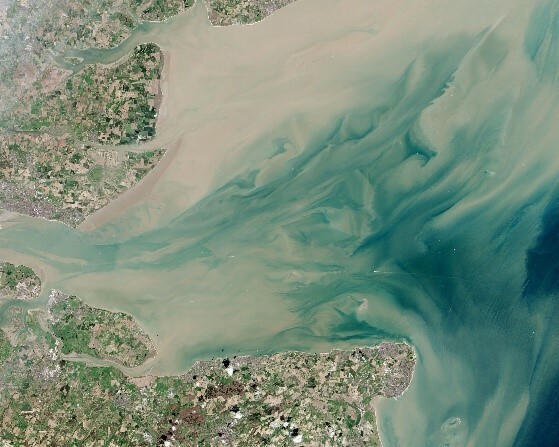 So having an understanding of how resilient communities are and how able they are to adapt to change will be valuable in the design and potential success of future land management schemes seeking to deliver environmental outcomes. 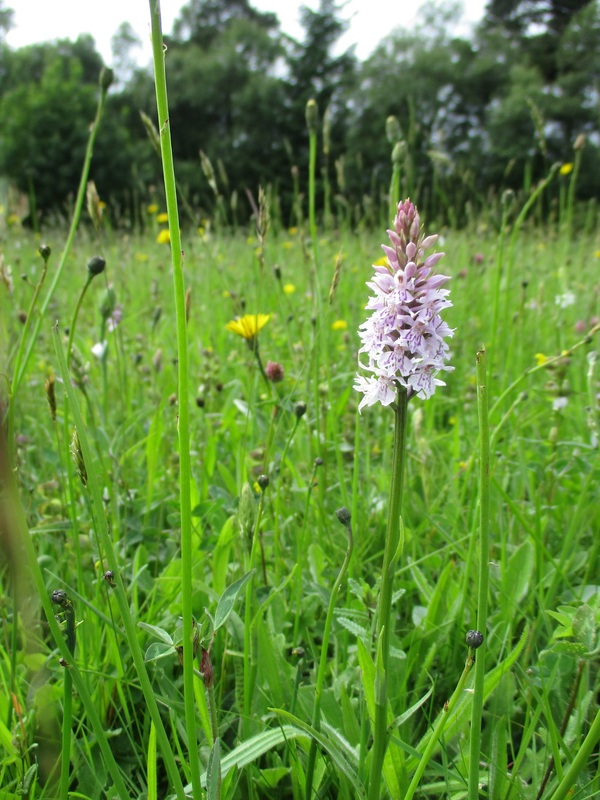 An aim of this research is to try and understand whether high levels of social capital are a driver that encourages a farmer’s participation in high nature value farming and/or engagement in agri-environment schemes? whether a farmer’s participation leads to greater levels of social capital? or are there other drivers that come into play? Whatever conclusions are drawn from this research, one thing is certain – there must have been some very interesting conversations being had around farmhouse kitchen tables over the past few weeks! On particularly wet peaty acidic areas of moorland you might find Round-leaved Sundew Drosera rotundifolia. 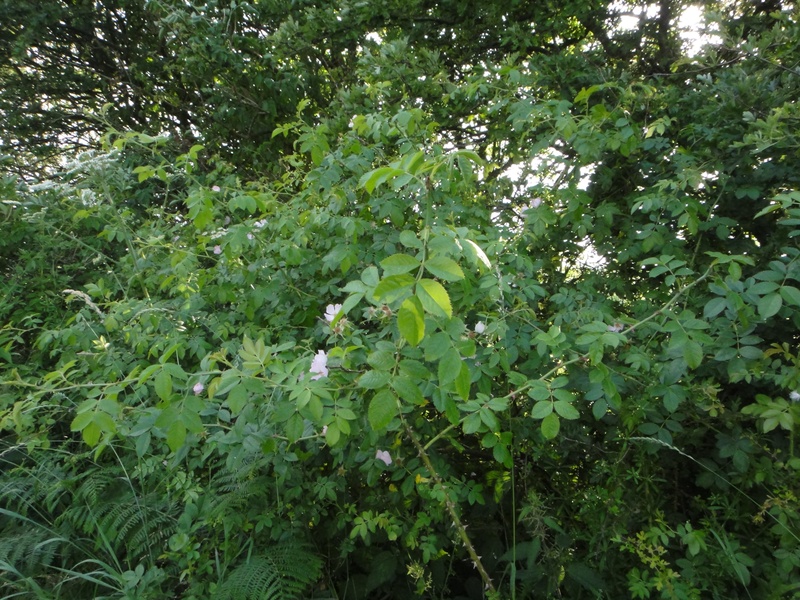 It grows low to the ground with upright stems and small white flowers in the summer. 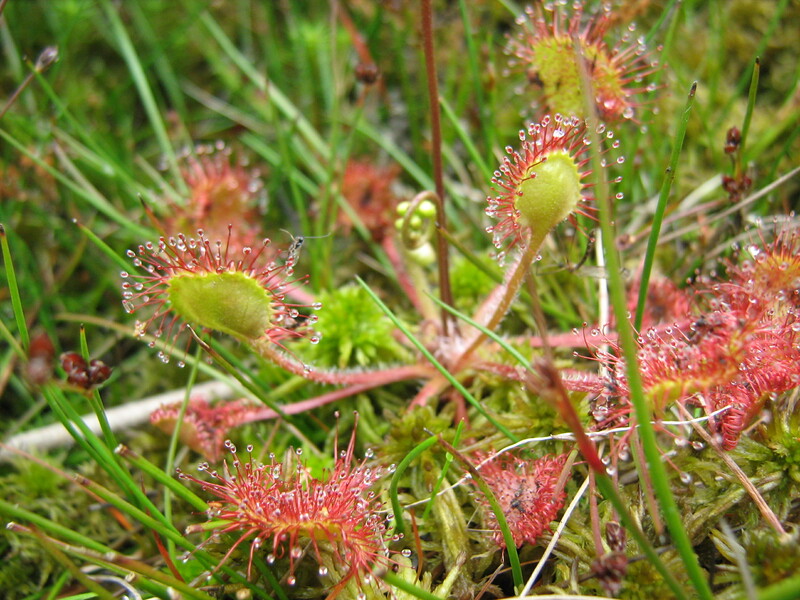 Sundews use photosynthesis like many plants to make glucose for energy, but plants also tend to need nutrients and minerals usually obtained by their roots from the soil they grow in. 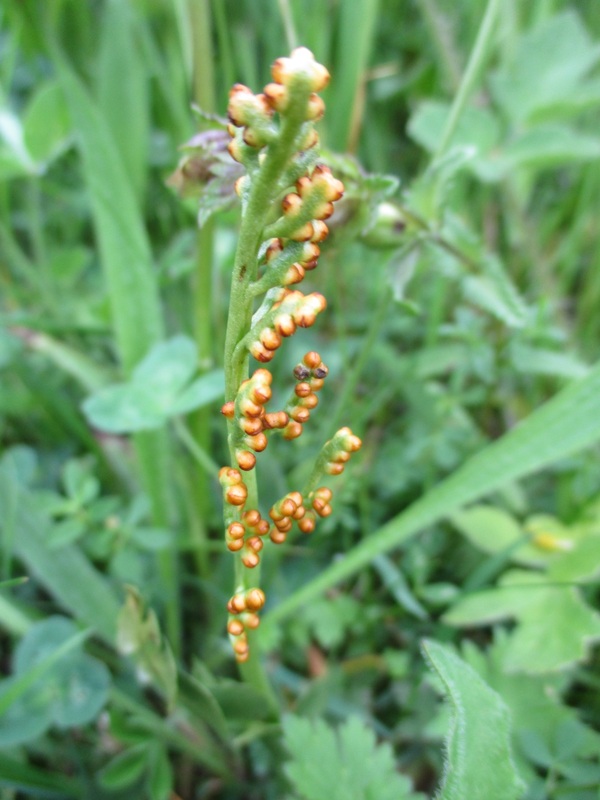 But the wet soils on which this species live have few nutrients and minerals because these have leached away. Many plants would find this habitat too inhospitable but Drosera rotundifolia has a proactive solution to supplementing its diet. 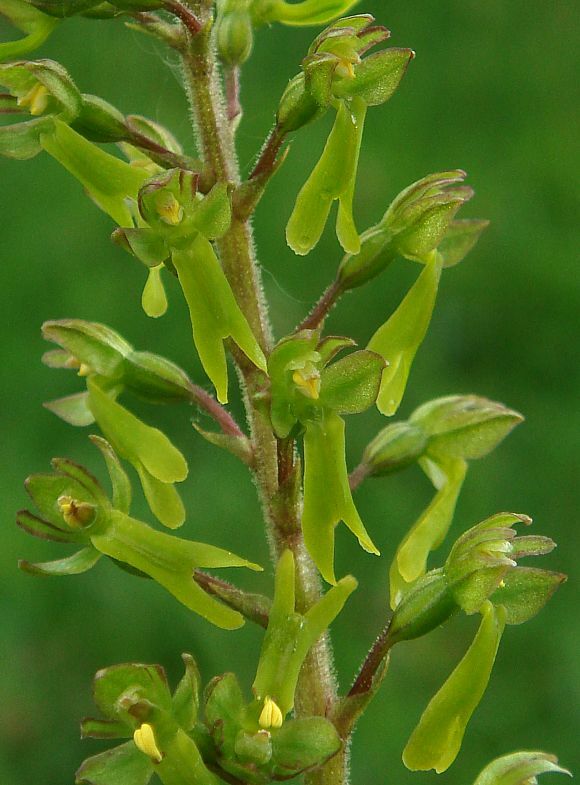 It has leaves with sticky inward curving hairs in which unsuspecting insects get trapped when they come to look for nectar, and are then slowly digested by enzymes. It is one of a number of carnivorous plants across the world. 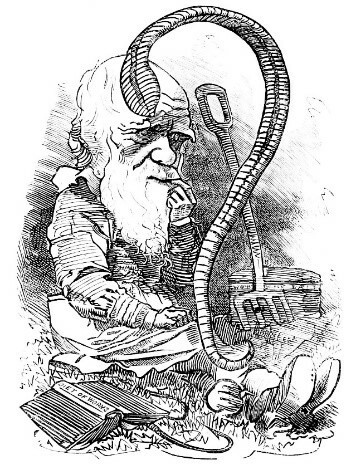 Charles Darwin was an undoubted genius, according to most people’s definition – so it should come as no surprise that he was interested in earthworms. He even wrote a book with the catchy title The Formation of Vegetable Mould, through the action of worms, with observations on their habitats. 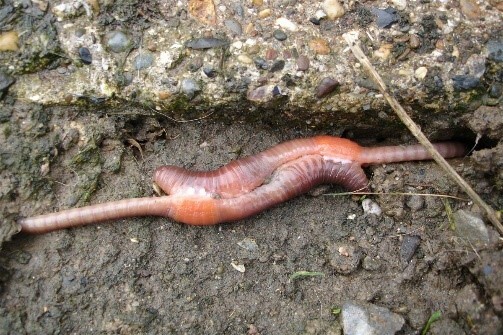 Earthworms are fundamental. 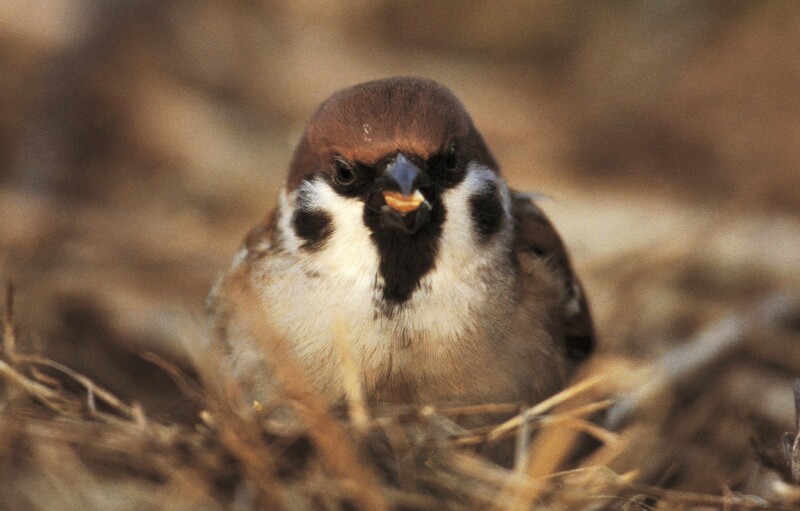 They are ecosystem engineers – a term associated with important ecological outputs, which can often be stalked by controversy because of the affects caused e.g. 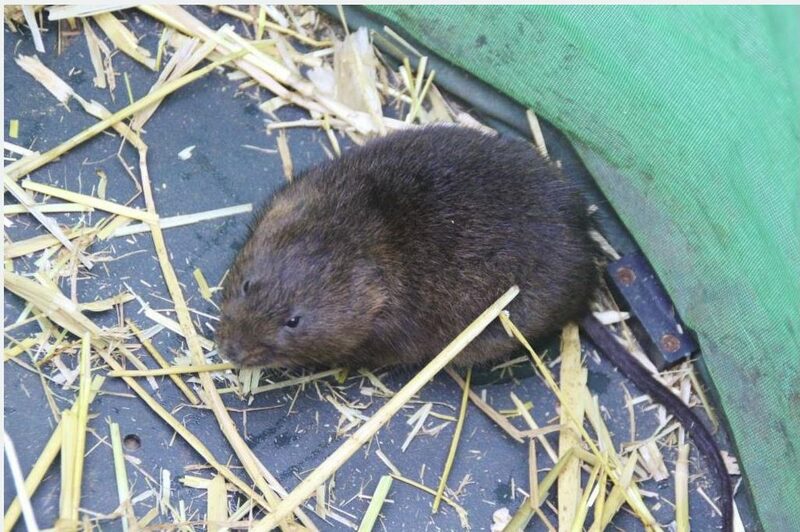 Eurasian Beaver (Castor fiber). However, everyone can get behind earthworms; they are the only species playing a significant role in pedoturbation and are a major player in pedogenesis. What are pedoturbation and pedogenesis? Well, they’re words we should all know. They describe the process of mixing between soil horizons resulting in healthy homogenization, and the formation of soils through biogeochemical processes. Soil is the unconsolidated material on the top level of the earth in temperate climes. In the UK most plants grow in soil. Our soils are under pressure from erosion/loss, compaction and decline in organic matter. 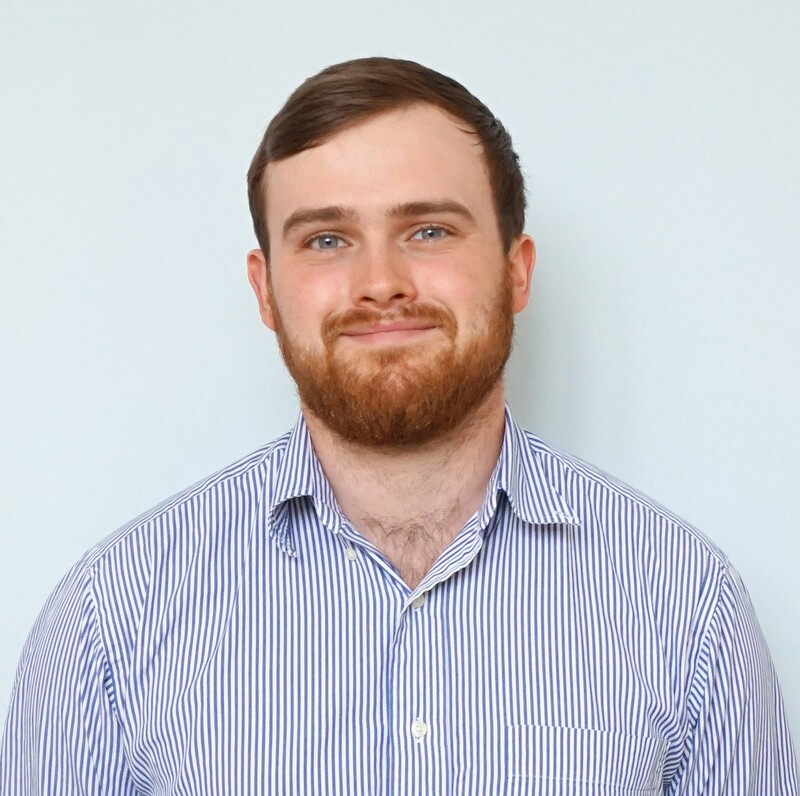 In the 2015 bestselling book, What Nature Does for Britain by Tony Juniper, estimated the annual cost from soil degradation is between £900 million and £1.4 billion, while studies suggest soils will be too degraded for production within around 100 harvests. The need for solutions is urgent. 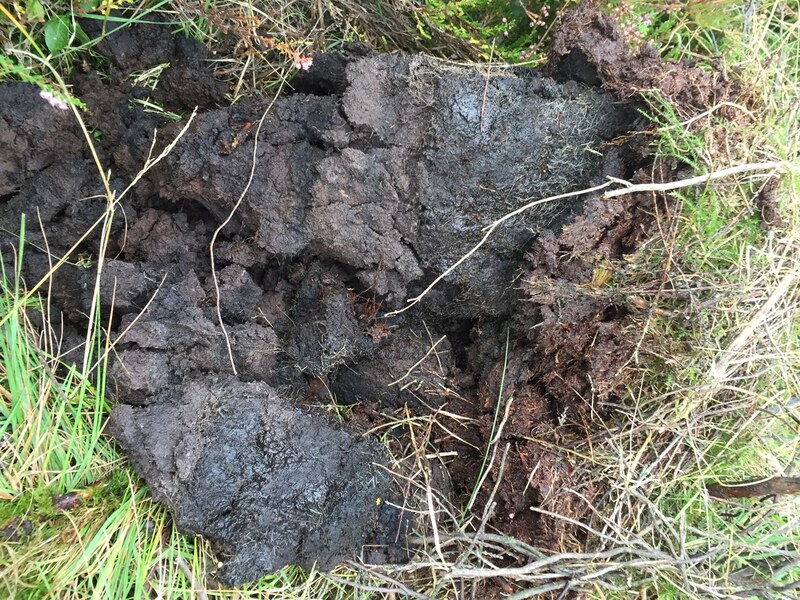 Soil health targets are included in the Government’s new 25 Year Environment Plan. Further national measures are planned through legislation during 2018 to manage all soils sustainably, including devising a soil health index, and updating guidance on crop establishment and optimal tillage choice. Earthworms are crucial for tackling these problems and maintaining the health of soils. Still little is known about earthworms, despite Darwin’s efforts. 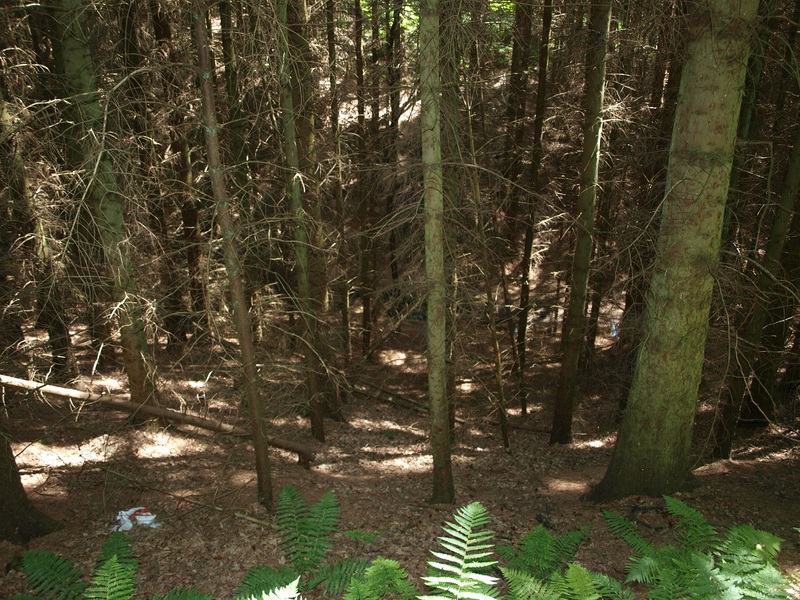 We know there are 29 species in the UK, split into four groups: composters living in organic rich vegetation, epigeics living amongst leaf litter, endogeics living in the soil, and anecics living in vertical burrows. They all eat (and so recycle) decaying material, help drainage and aeration, and are food for many other species (so crucial for biodiversity). The fact that all four groups and all the species have varying ecology enhances their benefits to the reducing of erosion, compaction and the loss of organic matter, therefore benefiting the entire ecosystem – including us. It will be very important to increase our understanding of distributions and ecology of each earthworm species, to help us to properly conserve and encourage worms to be a vital partner in such a time of soil health concern. 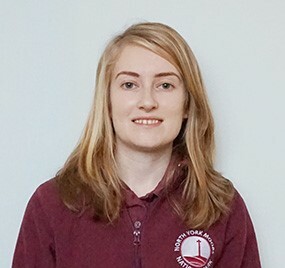 The Earthworm Society of Great Britain and Northern Ireland has information regarding the recording of earthworms, identifying different species, and further facts on their biology and ecology. 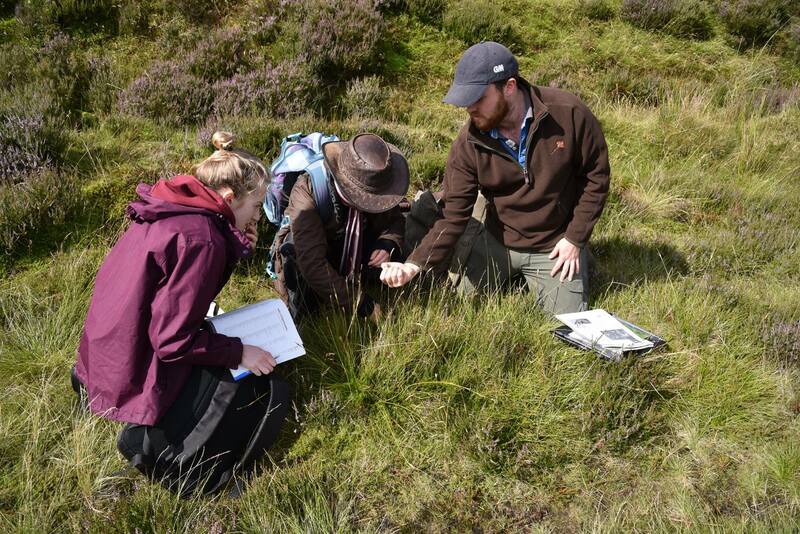 The British Society of Soil Science is supporting the advancement of soil science in the UK. The more we understand the resource the more we can do to conserve and enhance it.